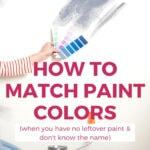 To find a specific paint color without knowing the brand or name, you need to know how to match paint. 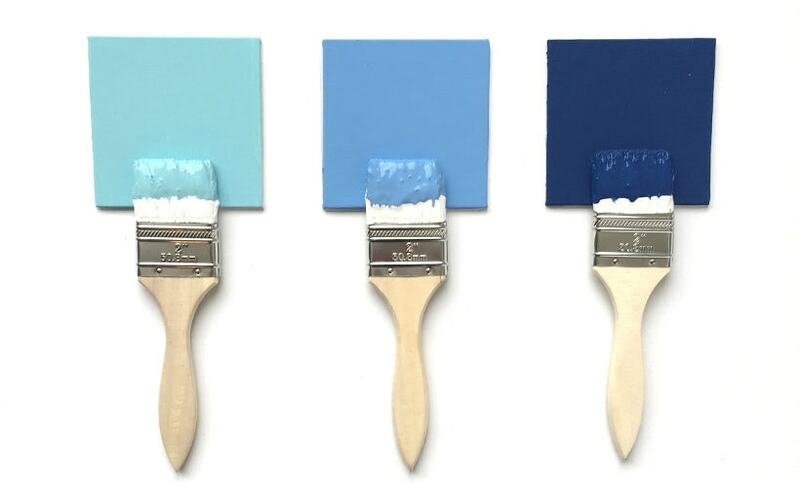 Try these 4 options to color match paint with ease. Paint touch-up is necessary at one time or another for pretty much all homeowners. Maybe it’s when we don’t adequately plan a gallery wall and wind up with 20 extra nail holes (guilty). Or maybe it’s after we move furniture around and ding a wall in the process (also guilty). Or sometimes you may actually HAVE the paint can, but the paint is dried out and unusable because someone didn't replace the lid correctly (yep, guilty again). It’s also common for new homeowners close on a house and like the existing paint colors, but need to touch them up. Often, the former homeowners don’t leave spare paint or information about the paint color and/or finish. So what do you do when you need to touch up the paint on your walls and realize you don’t have any spare paint? To make matters worse, you don’t know the name of the color or have the formula written down. 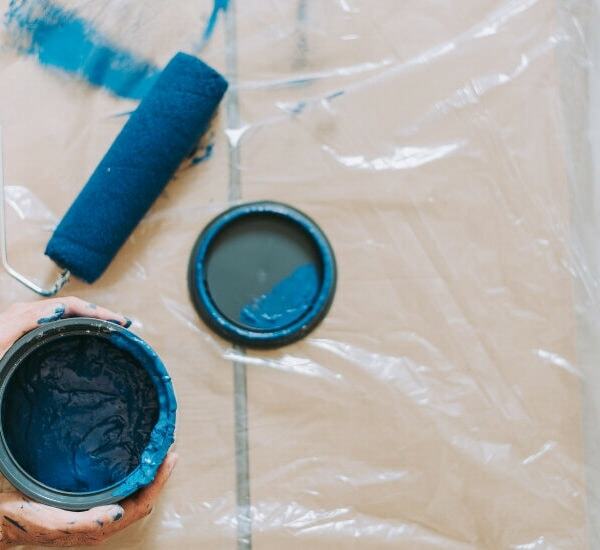 Of course, the best option of all is to make sure you never forget a paint color again whenever possible. 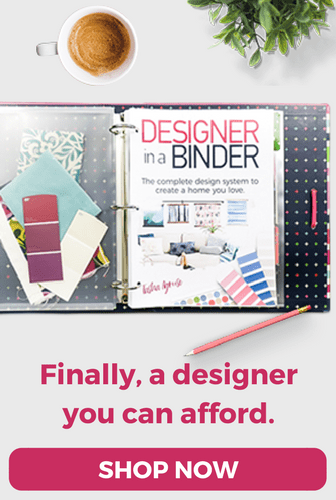 I use my copy of Designer in a Binder to keep records of all of the paint colors and finishes we are using in our current house. 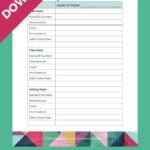 But because not everyone has a copy of Designer in a Binder, I’ve put together a Paint-Color Record Keeper for my subscribers. Just click the image below to subscribe and have it sent to your inbox right away. 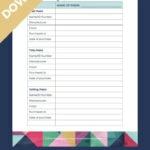 It takes only seconds to make a note of your paint colors and it will save you loads of time and aggravation down the road. And if you move, your buyer will LOVE you for keeping such great records of everything. 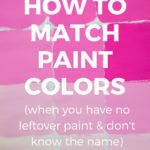 But when you have absolutely no records of what paint color you are dealing with, fear not! All hope is not lost. You have a few options. Option 1: Remove a sample from your wall & have it color-matched. This is reasonably easy to do if your walls are drywall. You can use a craft knife to very gently cut through just the paper layer of the drywall. 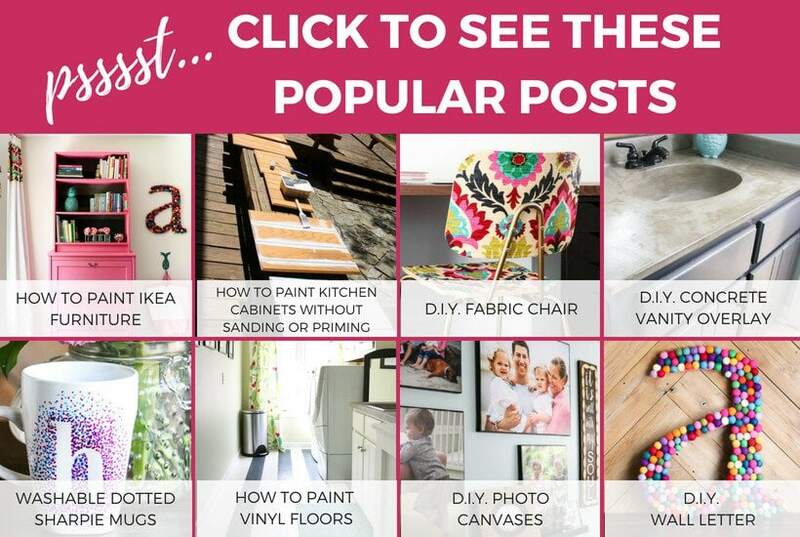 Choose an obscure area of your wall and cut out a square shape around 4 x 4 inches and take it to your paint store. They should be able to color-match it and tell you what the finish of the paint is. The best case scenario is that you will wind up with a perfect match! Then all you have to do is use some spackle the area where you removed the sample. Then sand it smooth and touch up that area, as well as the other areas that need a fresh coat of paint. Option 2: Use an electronic color matcher. It used to be true that to have a paint color analyzed, you had to head into a paint store with a spectrophotometer. But now you can actually purchase handheld color analyzers like the Color Reader or the Color Muse and have them shipped straight to your door. They are relatively small and more affordable than I would have guessed. You use them together with an app and press the sensor against the painted wall or surface you are trying to match. The analyzers use their own internal light and block out all external light sources, which make them more precise than merely snapping a photo and uploading it into an app. Lots of paint companies, including Behr, Valspar and Sherwin-Williams, now have mobile apps to help you color match paint. The apps are all different, but the general concept is the same for each of them. You simply download the app to your smartphone, take a photo of the paint you want to match and upload it. The app will tell you what the closest color match is. TIP: For the most accurate results, it's absolutely vital to take the photo without any artificial lights on. Use natural light only. Option 4: Repaint the affected wall from corner to corner. If none of the first three options work out for you, you will likely find yourself having to repaint the entire affected wall. 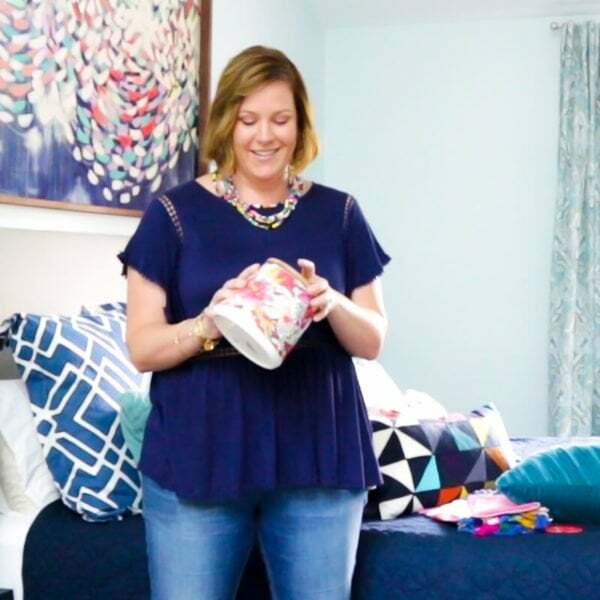 BUT, you don’t have to repaint the entire room. 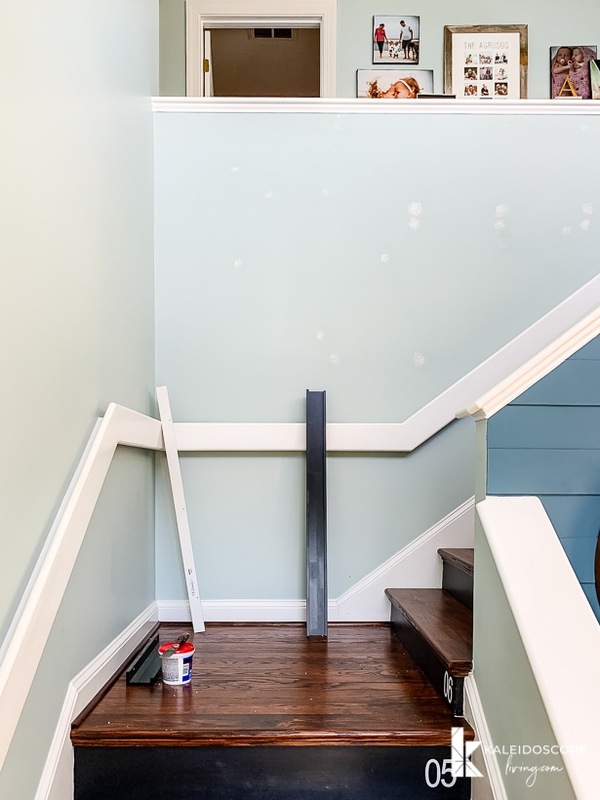 The color-matched paint will be close enough to the existing wall color to allow you to simply paint the affected wall from one corner to the other. The different paints will meet up in the corners. 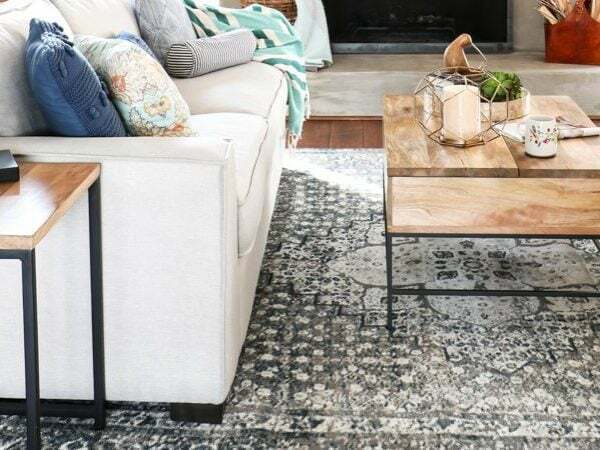 BUT because the different paints are on different planes of the room, the slight color difference will not be detectable. We recently had to do this. When we moved into our current house, we didn't have a ladder tall enough to paint our 2 story foyer. So, we hired a painter to paint only that area. We told him the paint color we wanted him to use and later learned he color-matched it in a different brand. We didn't think it was a big deal. BUT, he used every last bit of the paint and didn't leave us any extra. When we later had it color matched ourselves to do touch-ups, it wasn't a perfect match. And trust me, we tried multiple times in different brands. No luck. So, when we added new artwork to our staircase, we had to patch the holes from the old gallery wall pieces. We couldn't just paint over the patched nail holes because we don't have a perfect match. So, I painted the staircase wall to the one corner where it meets up with a two-story wall. I'm just grateful we didn’t have to repaint the entire foyer! So there you have it. 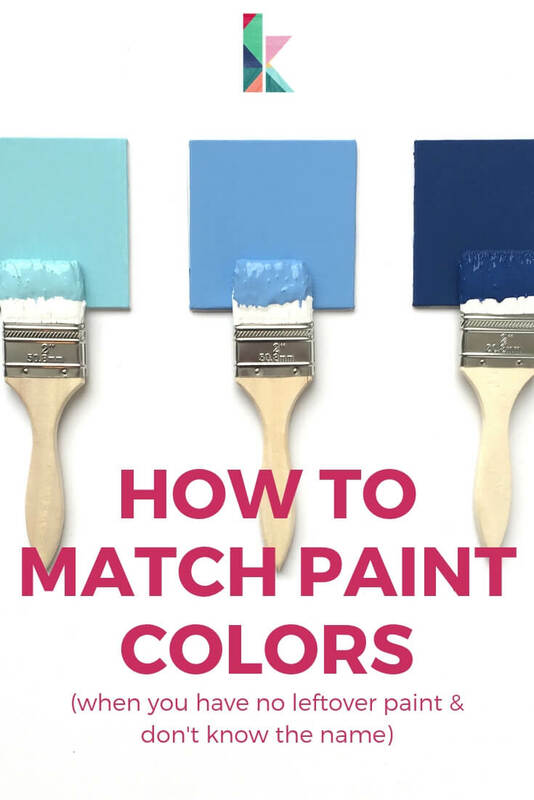 Four different options for how to match your paint color when you don't have any extra paint OR information on hand. 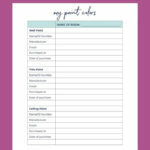 Don't forget to grab my free paint color record keeper before you head out. 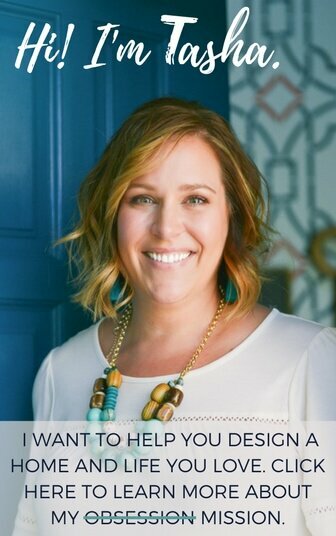 And be sure to check out my FREE design guides that will help you help you design spaces you absolutely love! 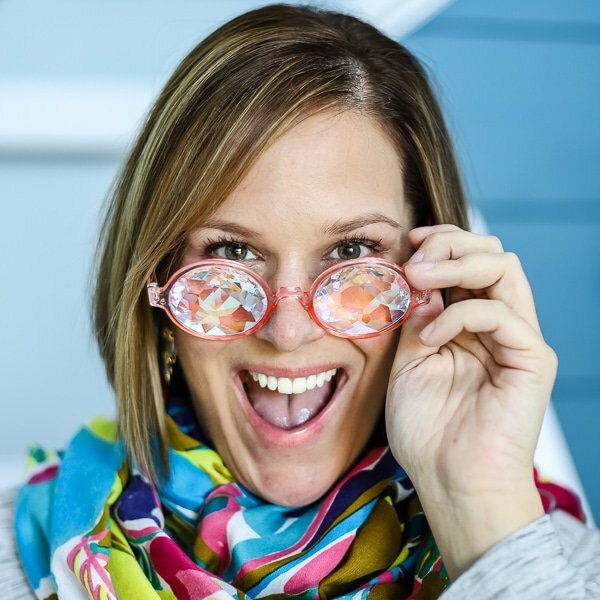 Unlock my design vault and get access to all of them in one convenient digital library.